Includes (RIK) Gloss Black emblem kit, LPO, (RZ9) Black surround grille, LPO and (SFZ) front and rear Black bowtie emblems, LPO; (Includes (S4X) Mosaic Black mirror caps, LPO on all exterior colors, except (GB8) Mosaic Black Metallic exterior color. 2LT!! 2.0L TURBO!! POWER SUNROOF!! INFOTAINMENT 3 PLUS WITH NAVIGATION!! BLACKOUT PACKAGE!! DRIVER CONFIDENCE & CONVENIENCE PACKAGE!! REMOTE START!! HEATED SEATS!! CROSS TRAFFIC ALERT!! POWER LIFTGATE!! 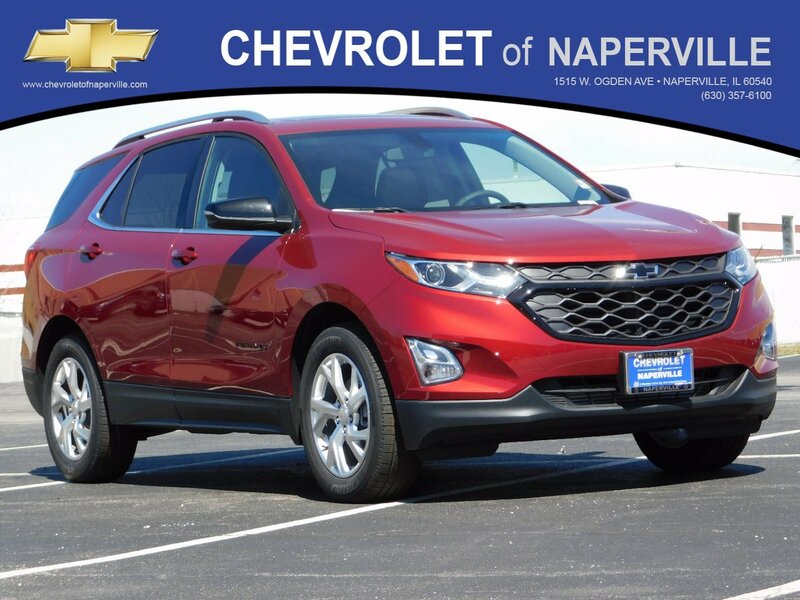 2019 CHEVROLET EQUINOX 2LT SUV, CAJUN RED TINTCOAT ON JET BLACK HEATED SEATING, 2.0L 4-CYL ENGINE UNDER THE HOOD, 8 INCH COLOR TOUCHSCREEN, AND 120-VOLT POWER OUTLET, 9-SPD AUTOMATIC TRANSMISSION, 29 HWY MPG!! LETS GO OVER ALL THE OPTIONS ON THIS AWARD WINNING EQUINOX!! DRIVER CONFIDENCE & CONVENIENCE PACKAGE INCLUDES: 8-WAY POWER DRIVER SEAT, REMOTE START, HEATED FRONT SEATS, LEATHER WRAPPED STEERING WHEEL W/ AUDIO CONTROLS, POWER REAR LIFT GATE, SIDE BLIND ZONE ALERT, REAR CROSS TRAFFIC ALERT AND REAR PARK ASSIST…..4G LTE WI-FI HOTSPOT, REAR VISION CAMERA, 6-SPEAKER SOUND, REAR MOLDED SPLASH GUARDS, BLACKOUT PACKAGE INCLUDING: BLACK EMBLEM KIT, BLACK SURROUND GRILLE, BLACK BOWTIE EMBLEMS… CHEVROLET MYLINK WITH HANDS-FREE SMARTPHONE INTEGRATION W/ PANDORA AND STITCHER, VOICE-ACTIVATED TECHNOLOGY, CRUISE CONTROL, SO….LETS JUST SAY THIS EQUINOX IS AWESOMELY EQUIPPED AND READY TO GO!! BUT WAIT EQUINOX SHOPPERS….WE HAVE MORE!! 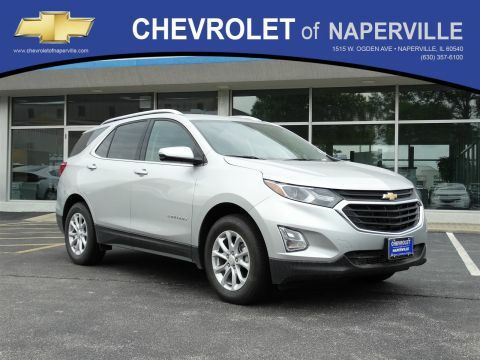 YOU GET A FULL 36 MONTH OR 36,000 MILE BUMPER TO BUMPER COVERAGE, PLUS 5 YEAR OR 60,000 MILE POWERTRAIN COVERAGE, COME ON IN AND TAKE THIS EQUINOX FOR A SPIN-O-RAMA AROUND OUR CHEVROLET OF NAPERVILLE TEST TRACK!! YEP…OUR OWN TRACK!! FIRST ONE HERE WINS….SEE YA SOON.. 2LT!! 2.0L TURBO!! POWER SUNROOF!! INFOTAINMENT 3 PLUS WITH NAVIGATION!! BLACKOUT PACKAGE!! DRIVER CONFIDENCE & CONVENIENCE PACKAGE!! REMOTE START!! HEATED SEATS!! CROSS TRAFFIC ALERT!! POWER LIFTGATE!! 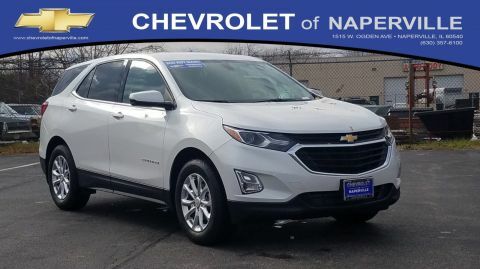 2019 CHEVROLET EQUINOX 2LT SUV, CAJUN RED TINTCOAT ON JET BLACK HEATED SEATING, 2.0L 4-CYL ENGINE UNDER THE HOOD, 8 INCH COLOR TOUCHSCREEN, AND 120-VOLT POWER OUTLET, 9-SPD AUTOMATIC TRANSMISSION, 29 HWY MPG!! LETS GO OVER ALL THE OPTIONS ON THIS AWARD WINNING EQUINOX!! DRIVER CONFIDENCE & CONVENIENCE PACKAGE INCLUDES: 8-WAY POWER DRIVER SEAT, REMOTE START, HEATED FRONT SEATS, LEATHER WRAPPED STEERING WHEEL W/ AUDIO CONTROLS, POWER REAR LIFT GATE, SIDE BLIND ZONE ALERT, REAR CROSS TRAFFIC ALERT AND REAR PARK ASSIST.....4G LTE WI-FI HOTSPOT, REAR VISION CAMERA, 6-SPEAKER SOUND, REAR MOLDED SPLASH GUARDS, BLACKOUT PACKAGE INCLUDING: BLACK EMBLEM KIT, BLACK SURROUND GRILLE, BLACK BOWTIE EMBLEMS... CHEVROLET MYLINK WITH HANDS-FREE SMARTPHONE INTEGRATION W/ PANDORA AND STITCHER, VOICE-ACTIVATED TECHNOLOGY, CRUISE CONTROL, SO....LETS JUST SAY THIS EQUINOX IS AWESOMELY EQUIPPED AND READY TO GO!! BUT WAIT EQUINOX SHOPPERS....WE HAVE MORE!! 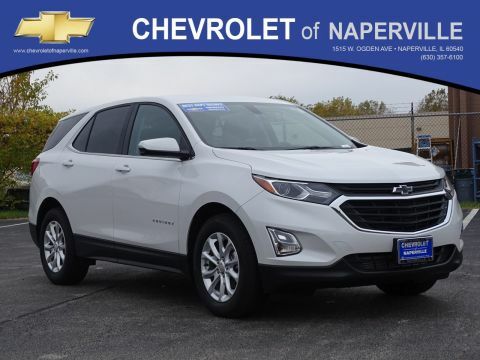 YOU GET A FULL 36 MONTH OR 36,000 MILE BUMPER TO BUMPER COVERAGE, PLUS 5 YEAR OR 60,000 MILE POWERTRAIN COVERAGE, COME ON IN AND TAKE THIS EQUINOX FOR A SPIN-O-RAMA AROUND OUR CHEVROLET OF NAPERVILLE TEST TRACK!! YEP...OUR OWN TRACK!! FIRST ONE HERE WINS....SEE YA SOON..